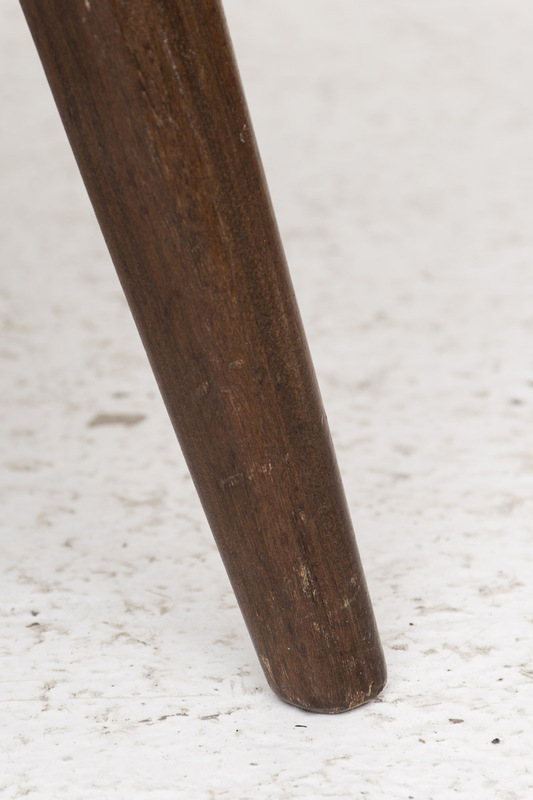 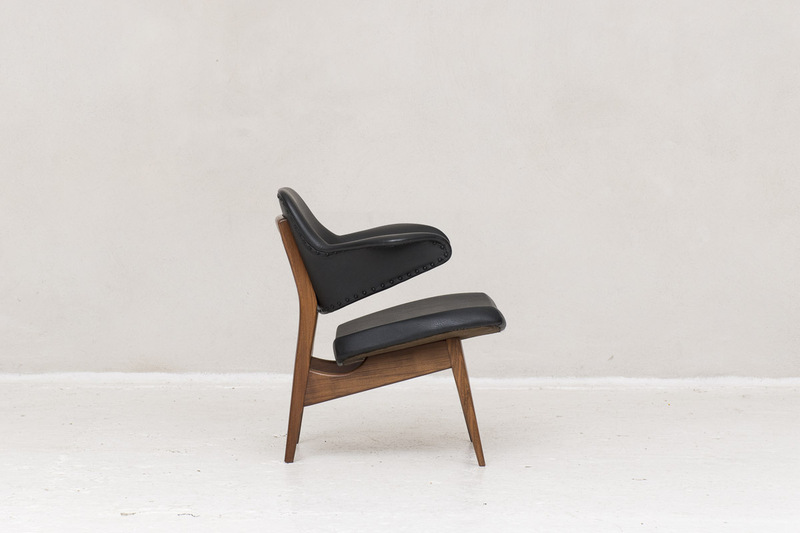 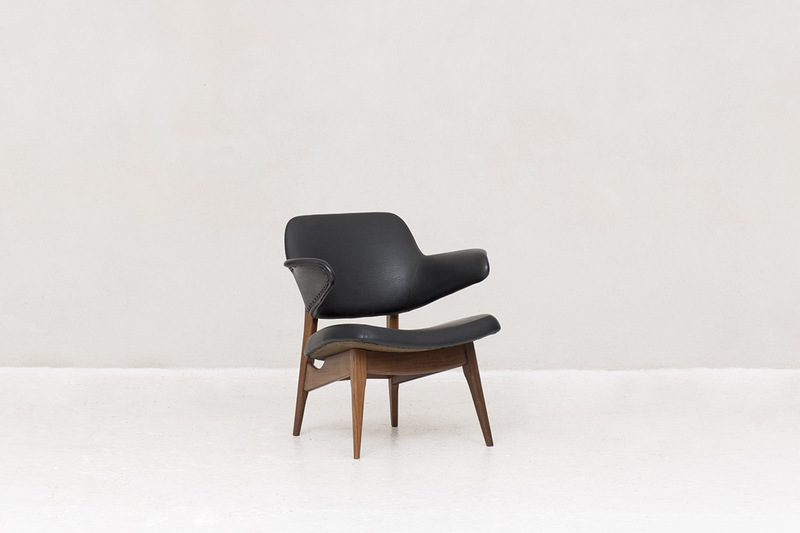 Organically shaped arm chair designed by Louis van Teeffelen produced by Webe in the Netherlands in the 1960s. 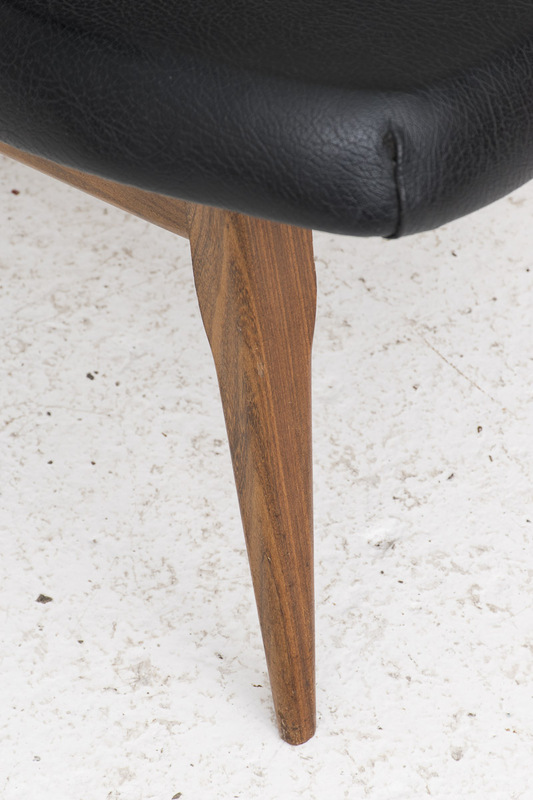 This side chair is very comfortable to sit in. 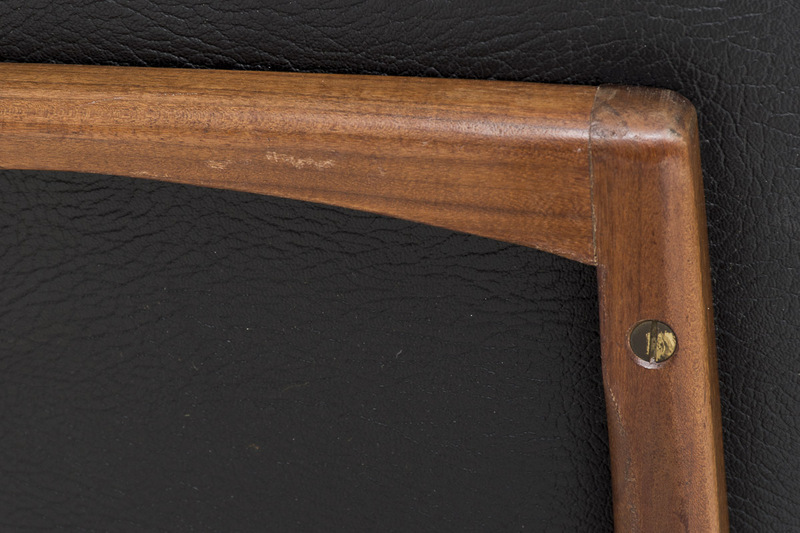 The frame is made of teak wood with brass joints. 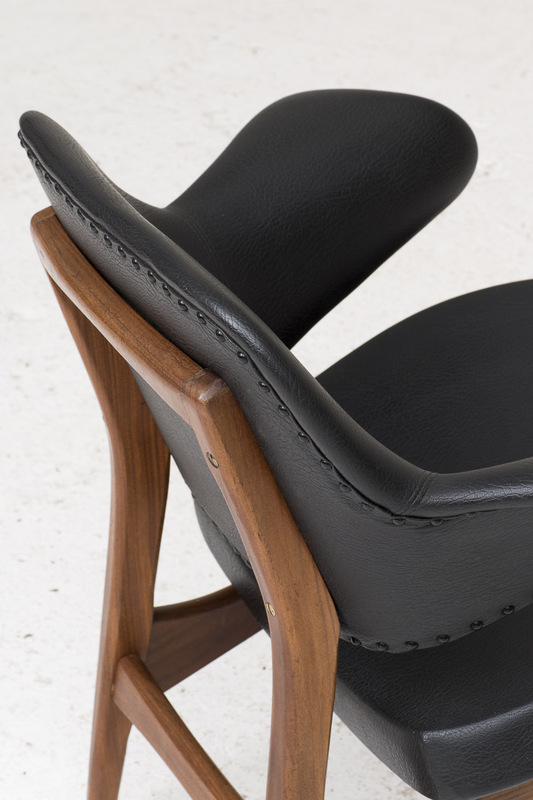 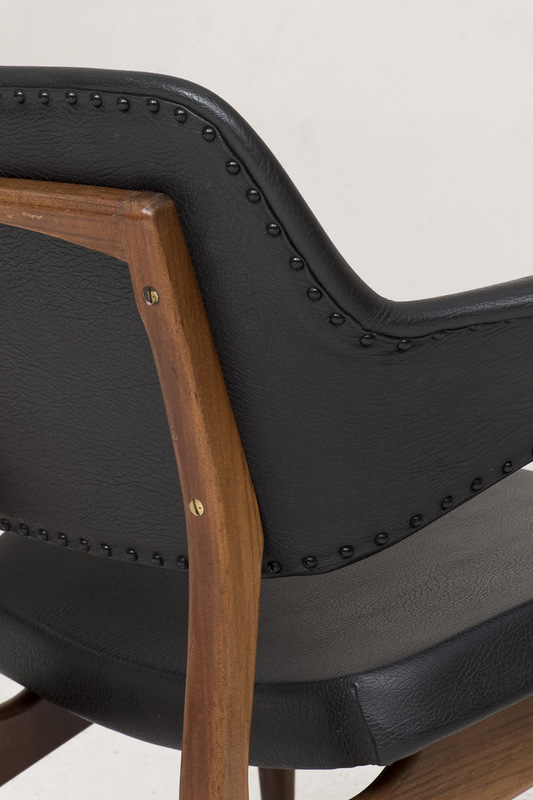 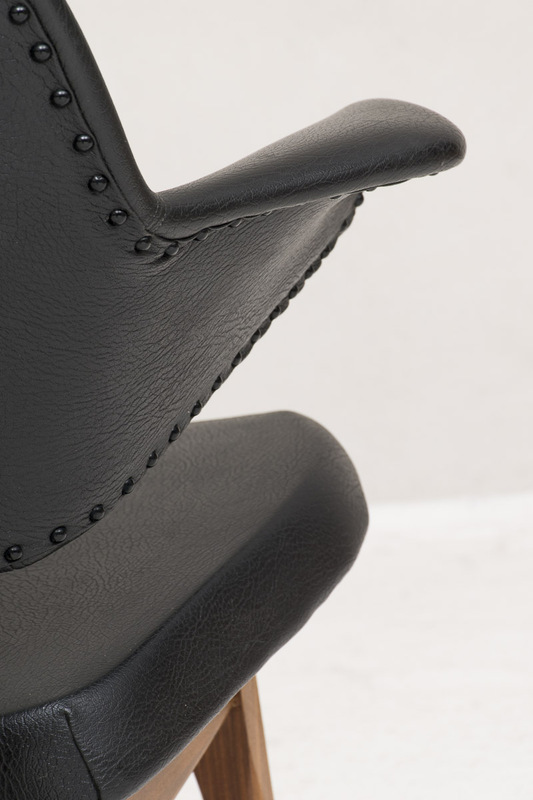 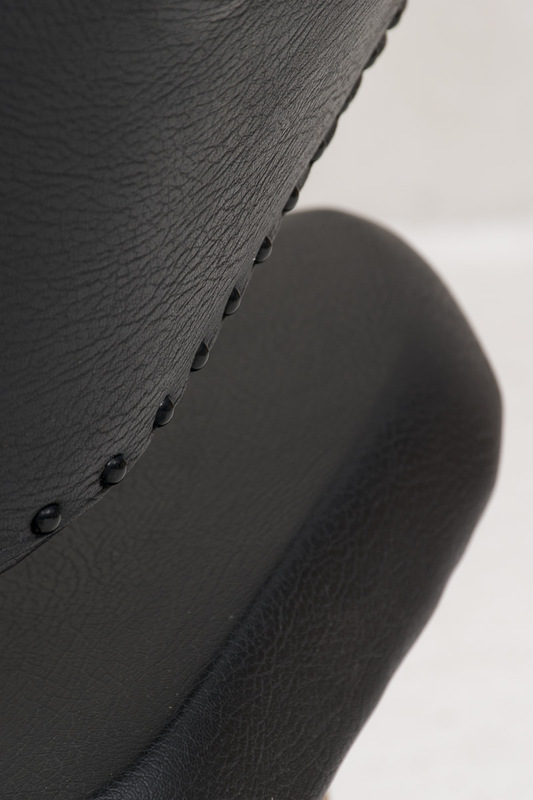 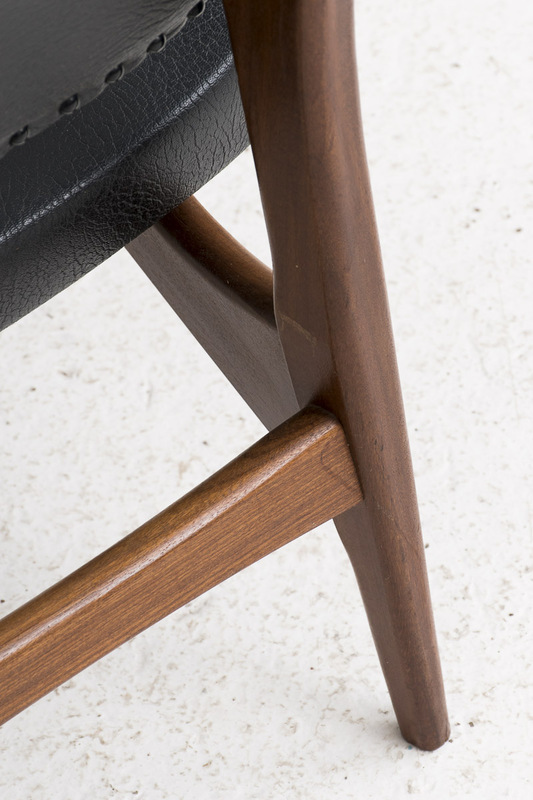 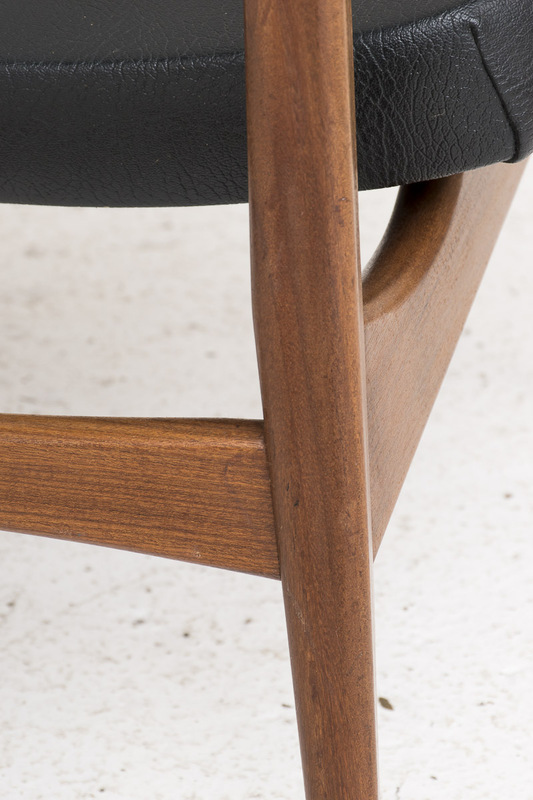 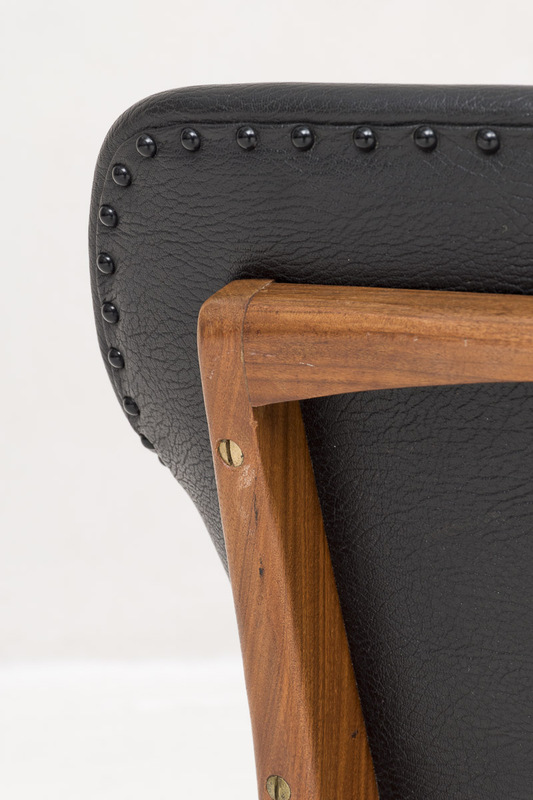 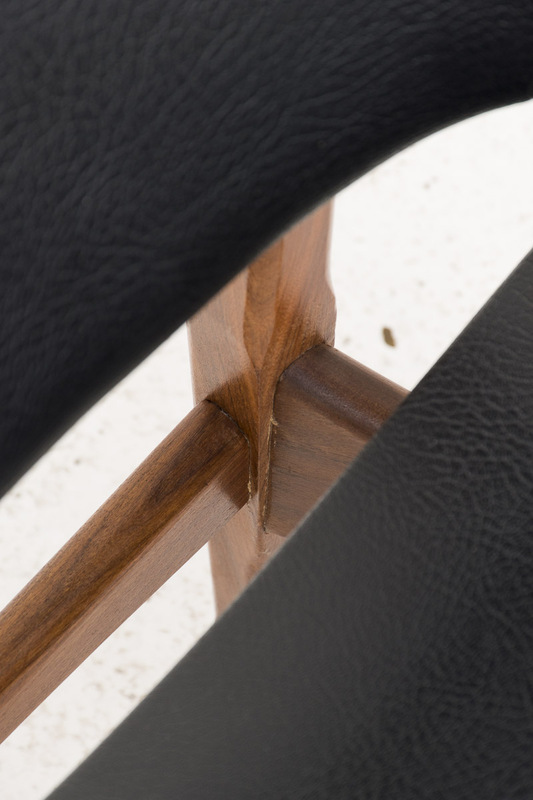 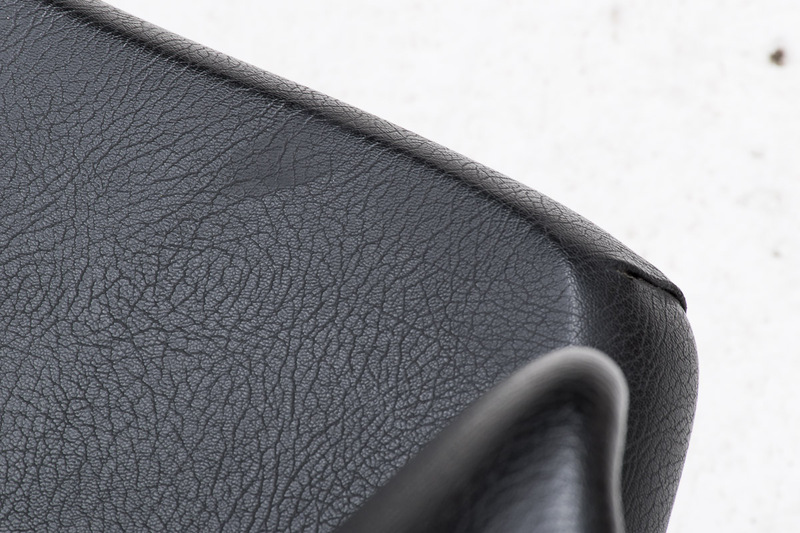 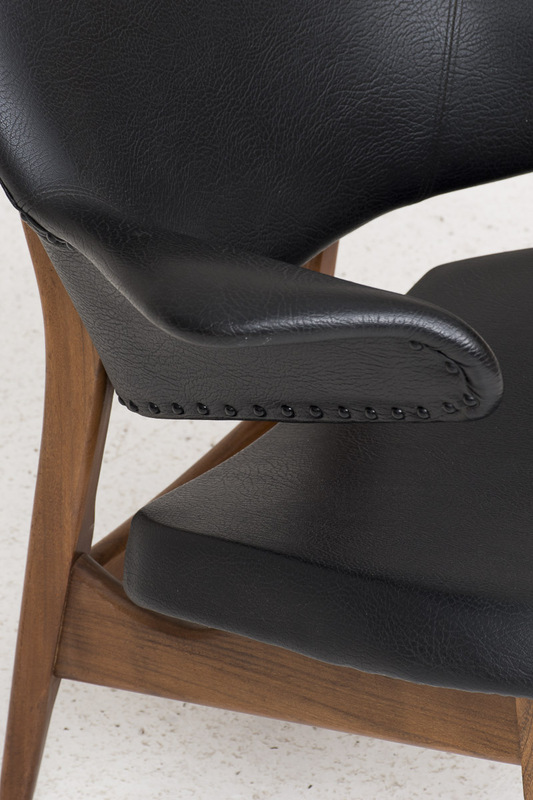 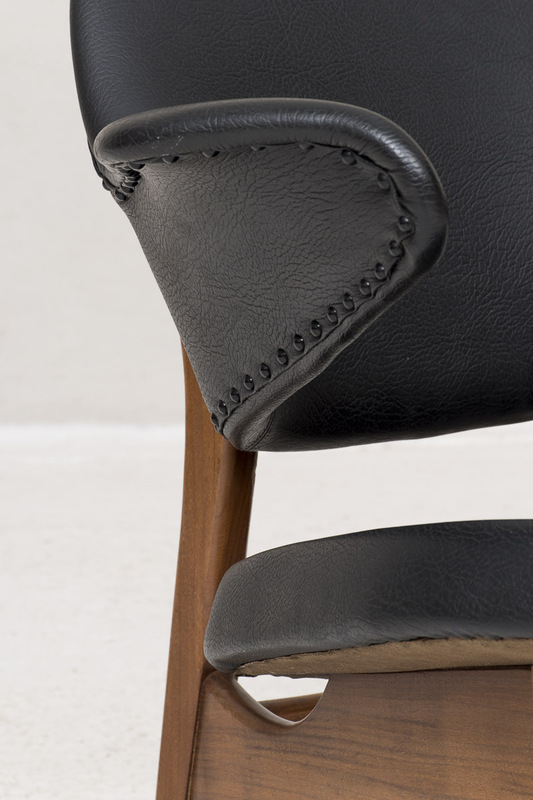 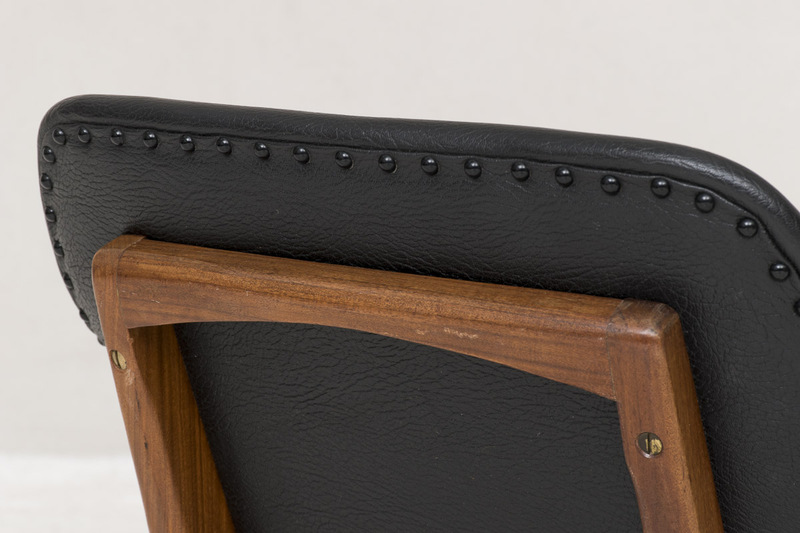 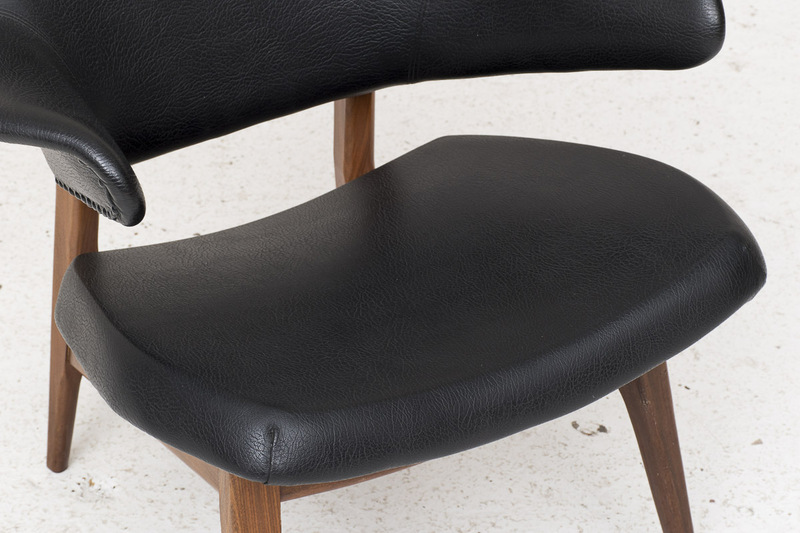 The seat and armrests are upholstered with black skai. 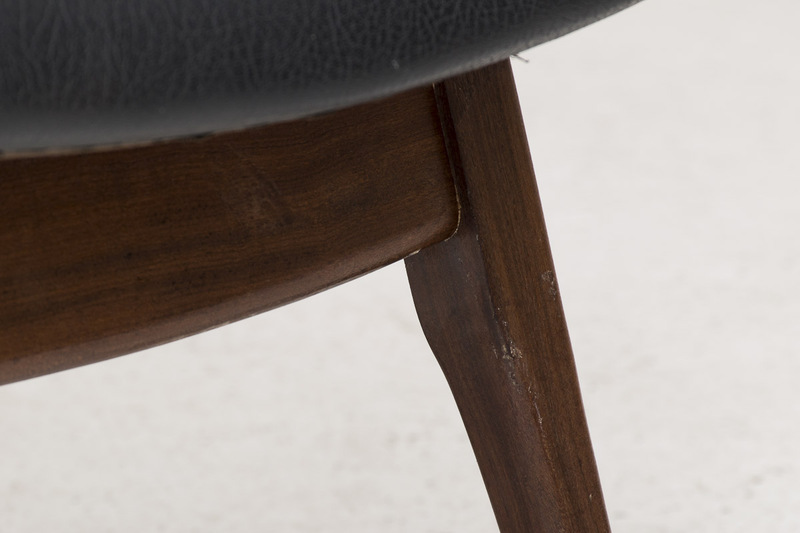 In good condition with some light wear from a previous life.